interested in increasing your marketability by declaring a minor/concentration? 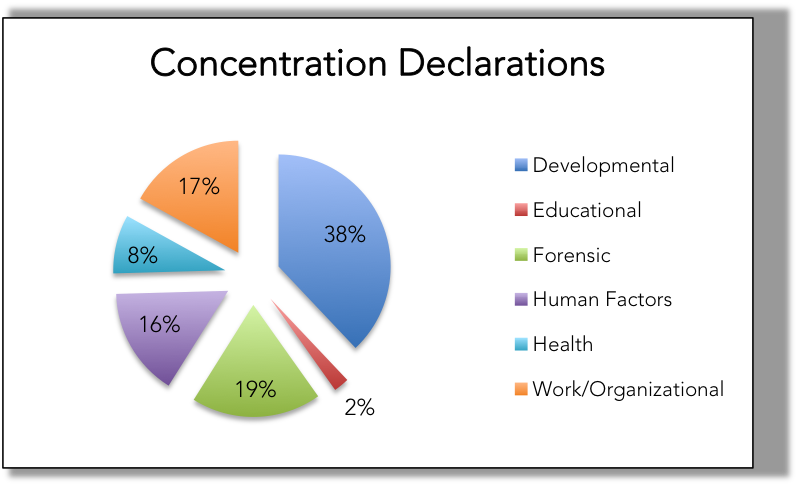 ​Out of all our undergraduate Psychology majors, 20% of students have declared a concentration! To the right is a chart that lists the percentages by concentrations. Scroll down to learn more about each concentration. ​We offer concentrations in Clinical, Developmental, Educational, Health, Human Factors, and Work/Organizational Psychology. To declare a concentration, stop by David King 2086 to fill out a concentration form. If you'd like to learn more about the requirements for each concentration, visit the GMU catalog. To the right is a chart that lists the percentages of students declared in each minor! Scroll down to learn more about each minor. ​We offer minors in Clinical, Developmental, Forensic, Health, and Industrial/Organizational Psychology. 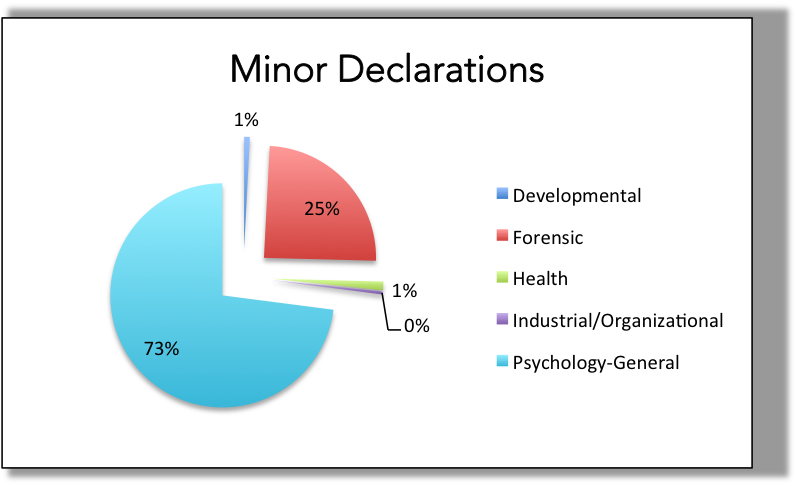 ​To declare a minor, stop by David King 2086 to fill out a minor form. If you'd like to learn more about the requirements for each minor, visit the GMU catalog.